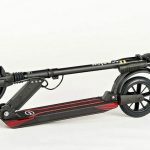 •3 point folding system takes the scooter down to 38 x 6 x 12 inches and it’s under 24 lbs, carry it anywhere or pull it along in trolley position. •21 mile range, 18 mph max speed, 290 lbs max load recommended, adjustable handlebars go from 31 to 39.5 inches from the platform. •Comfortable ride with front and rear suspension, double braking system, 8-inch airless rubber tires, horn, led display, headlight, kick start, and cruise control. •Double braking system, one on handlebar for electronic motor brake and a foot brake for motor brake and friction brake on the back wheel. KERS (kinetic energy recover system) expands battery life. 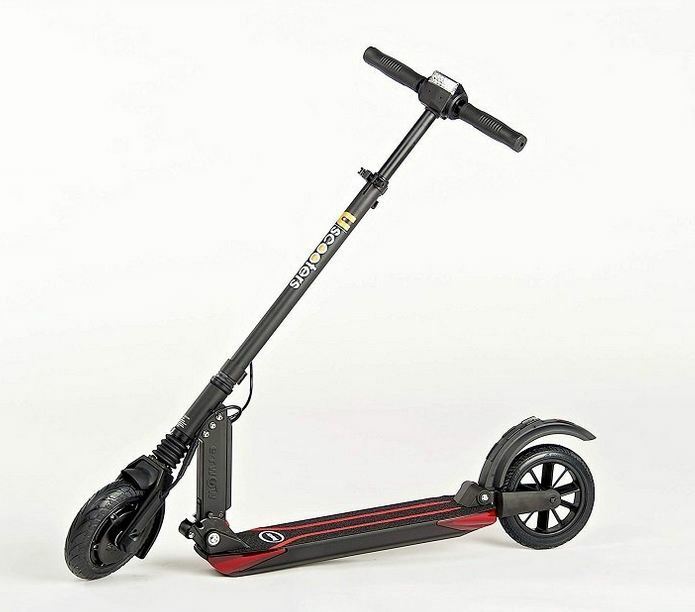 More than just a vehicle, the Uscooter Booster Electric Scooter brings a new era of urban mobility by creating a fusion of the classic kick scooter with the convenience of an electric motor, innovative technologies and high-performance features never before seen in an electric scooter. Only 23.9 pounds this scooter is a versatile vehicle. 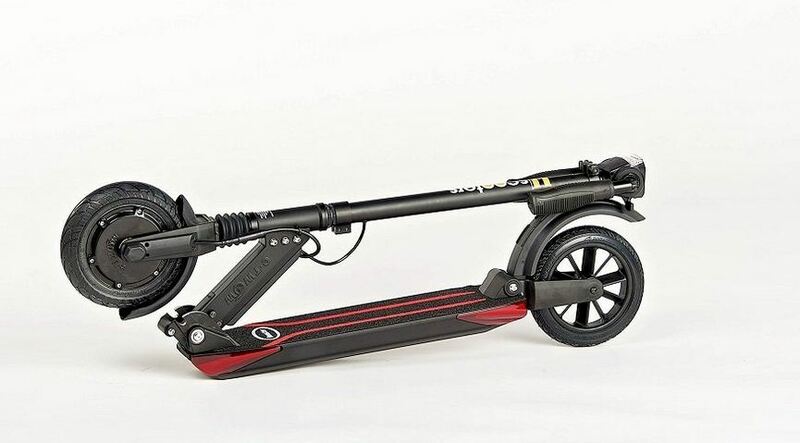 The patented 3-point folding system slims the scooter down to a manageable size, 36 inches long, 6 inches wide, and 12 inches high. Booster has kinetic energy recover system (KERS), which reduces energy consumption and actually feeds the battery when braking. 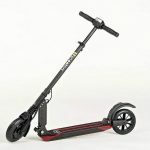 The double braking system includes a hand brake that activates the magnetic motor brake and a foot brake that activates both the magnetic motor brake and a friction brake on the back wheel, if the scooter’s battery is dead you can still ride it like a normal kick scooter, and use the foot brake to stop. The 8” airless wheels are made of patented military-grade rubber. A spring shock absorber located under the platform is linked to the wheels and is designed to absorb vibrations and reduce noise ensuring a safe and comfortable cruising experience. Battery: 33v 6.5Ah Lithium-Polymer battery, which is built into the platform structure. It is protected from shocks and humidity by an airtight hood attached to the scooter’s frame. Fully charged expect a distance of about 21 miles, depending on speed, the rider’s body type, and the amount of elevation change. A full recharge of the battery takes less than 2 hours. The battery warranty is 6 months or 1,865 miles whatever comes first. The Brushless DC motor is located inside the front airless tire. The acceleration button is located on the right handlebar and pressed by the thumb. Also includes: Horn, Cruise control, Headlight with automatic on sensor, LED Display with speed, battery level, mileage, ambient temperature, Zero start, One year limited warranty on product and parts.